Working in an international team involves working in multiple time zones. As a result, there are tons of emails of JIRA issue updates in the Inbox every morning. 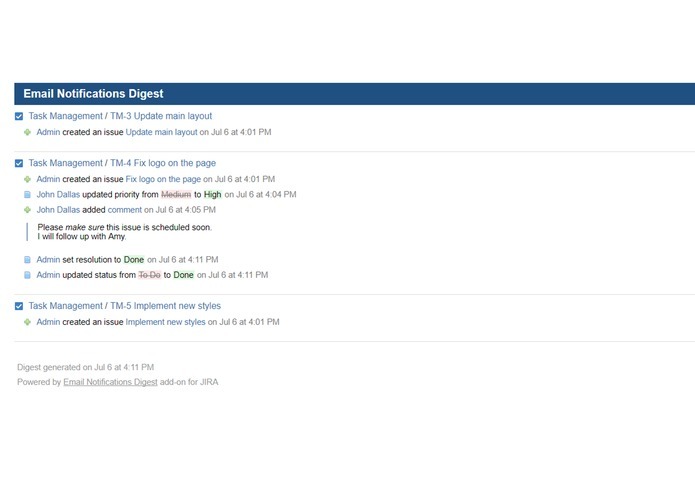 The plug-in is designed to reduce the read time of these JIRA notifications by intelligently grouping JIRA issue updates and sending them as a digest at a scheduled time per user. 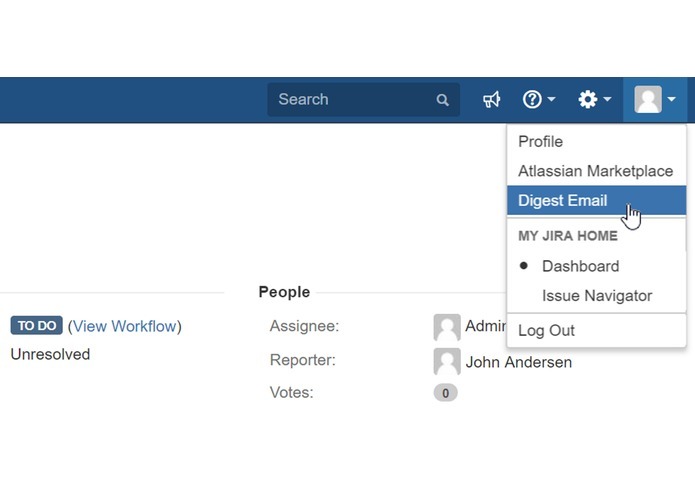 Add-on intelligently groups JIRA issue updates and send them as a digest at a scheduled date/time. The configuration is global as well as per user so every person can choose the best time to receive a digest email or turn it off. 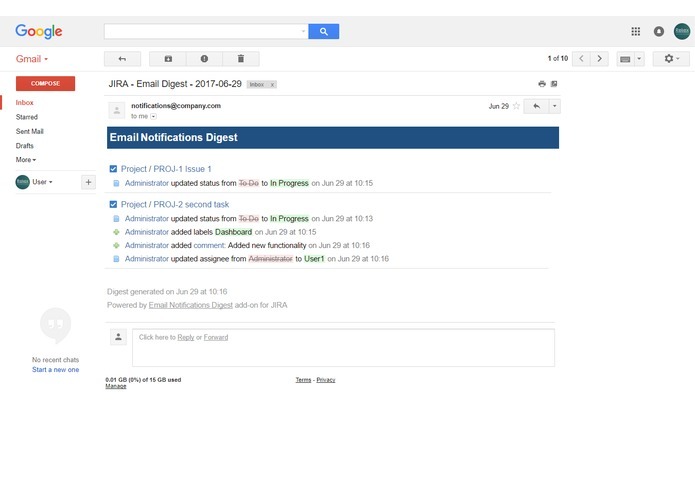 Dozens of JIRA email notifications in one digest letter. Get exclusive digest with the updates specifically for you. 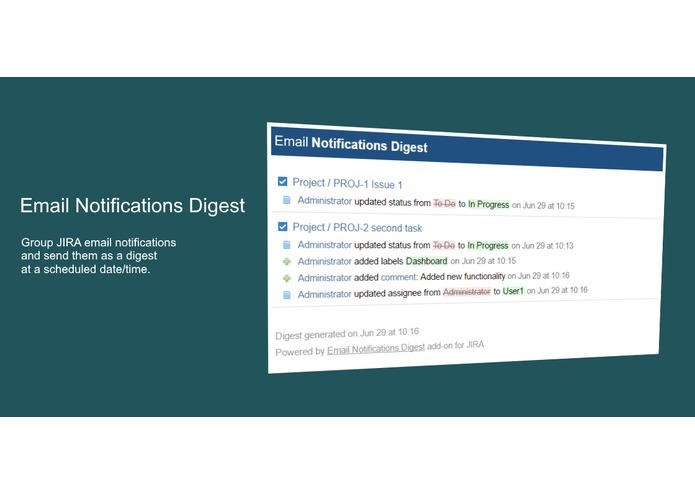 Email Notification Digest will group notifications by issues in a chronological order. Adjust frequency and time of the digest that will be suitable for you. 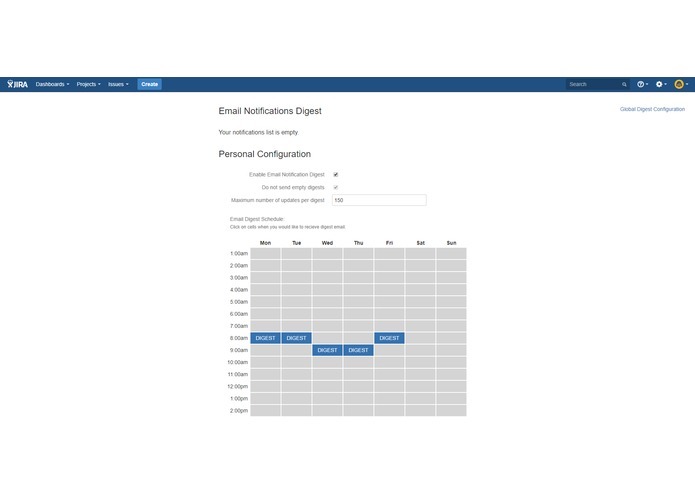 Turn on/off email digest for the whole JIRA instance or per user. Working out of the box with the default configuration. Add-on does not require technical skills to configure. The system will automatically let you know if email server is misconfigured or the license is invalid.